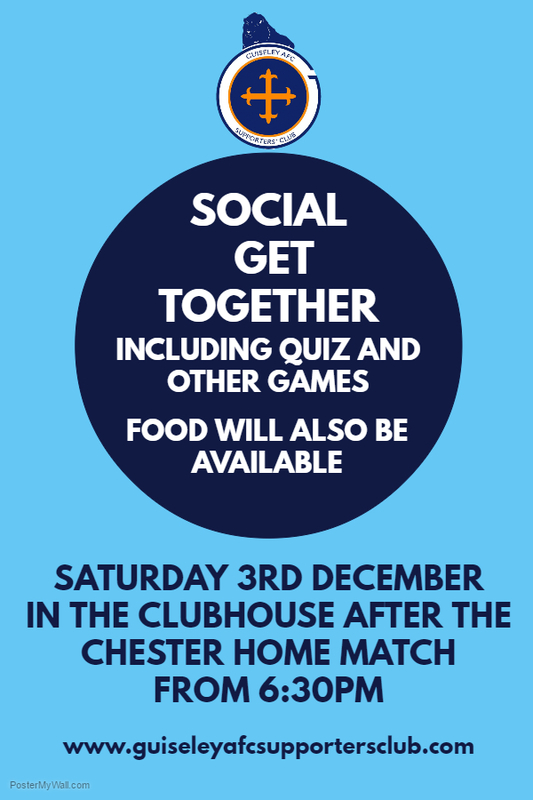 We are pleased to announce details of our next event which is a social get together. We are proudly sponsoring the match against Chester on 3rd December and with it potentially being the last home game before Christmas we thought why not have an event! Commencing from 6:30pm we will hold a quiz and several other games as well as a football scratch card. Food will also be available to purchase on the night and we look forward to seeing you all there. We will also have Christmas Cash Draw tickets on sale.